Ahhhh! SO super excited to share my custom order from @Rook which just arrived this afternoon. These are special pendants to commemorate the 20 years I have spent together with my partner and they are absolutely perfect. 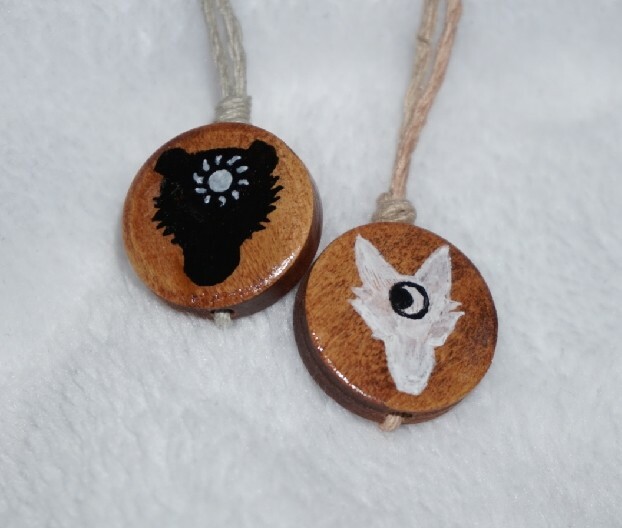 Please check out @Rook and their wonderful art (which isn&apos;t limited to painted beads)!